Please contact me if you would like to come and visit with a view to possibly being added to our waiting list. We have plans for 2019. Lappies are a lifestyle, not just a dog! They suit active homes who appreciate & understand their breed traits & who will keep them mentally stimulated. You get out what you put in, but goodness me - they are so worth it! 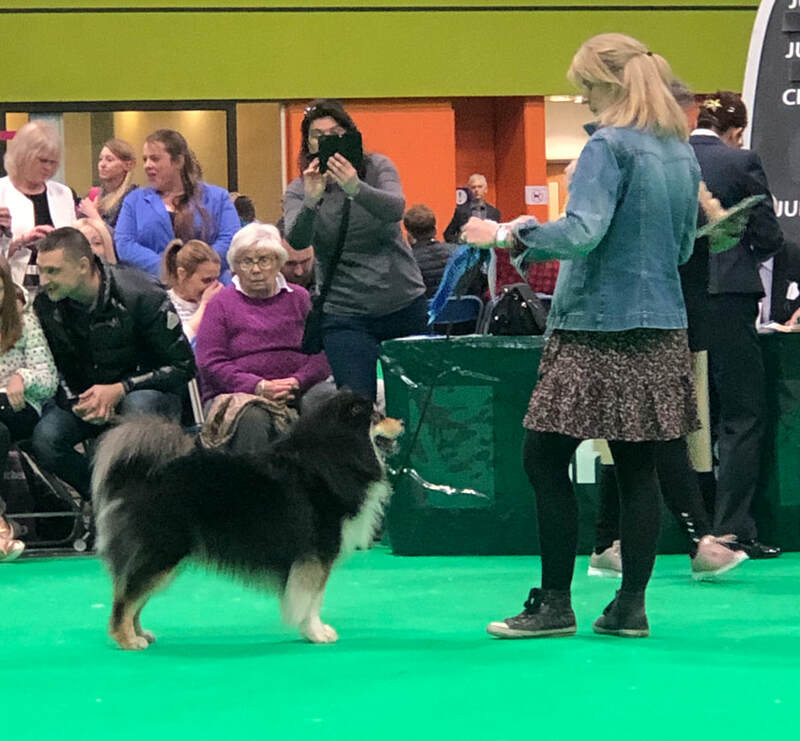 We had a super Crufts! 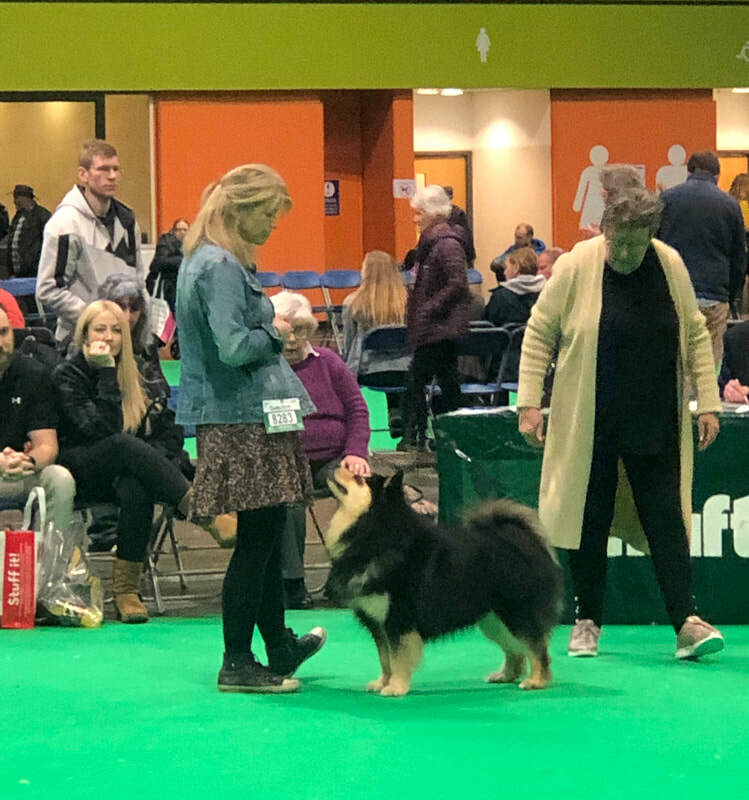 Miika took Reserve in Veteran Dog. Nukka won Best Puppy Dog & 2nd in Junior Dog. Onni wasn't placed in his very large class and I was so proud of Ruuli who took it all in her stride. ​Welcome to my website, where I share the love I have for my dogs & this wonderful breed. I am so proud of my dogs and those that I've bred - I hope you enjoy it. I live in Surrey, in the UK and have loved Lappies for 20 years. My story began in 1998 when I got my first Lappy called Smuu and then Tuukka - I have now bred five generations & made countless friends - Lappies do that to you! 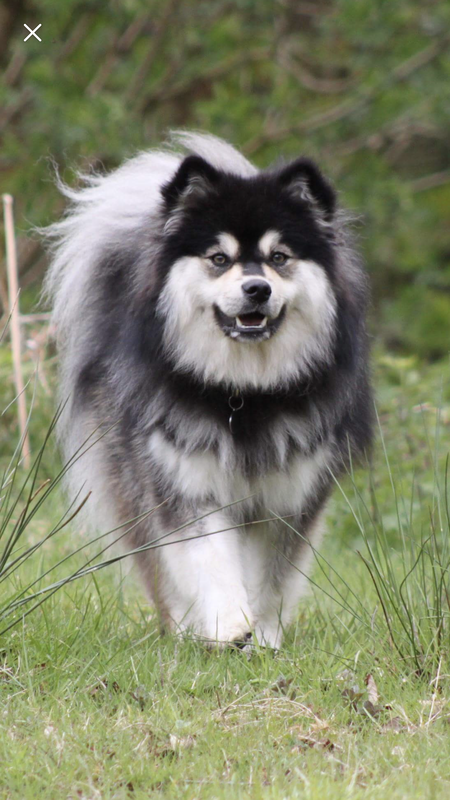 You can learn all about my dogs on this site and hopefully get a good 'feel' for the breed as well. If you are attracted to beautiful dogs, inside and out, that have a brain and can be your companion for any number of dog sports, you have definitely found the right breed (and come to the right place!). If you start by hovering on the About button you will then get the Menu which has all the links to info about the breed including FAQ etc. If you want to see the dogs that I've bred, hover on the Breeding Tab at the top of the homepage, then click on Litters Born at a Glance. Sadly I have horrific WiFi where I live, so uploading photos is excruciatingly slow bordering on impossible, I therefore tend to post photos to my TabanyaRuu Facebook Group & also to Instagram - use #TabanyaRuuLappy to search for dogs I've bred & to follow their own accounts. & check out our YouTube Channel for over a decade of cute videos. You are welcome to join our Facebook Group for lots of TabanyaRuu dog photos. This is the most current place for seeing photos of TabanyaRuu Dogs. 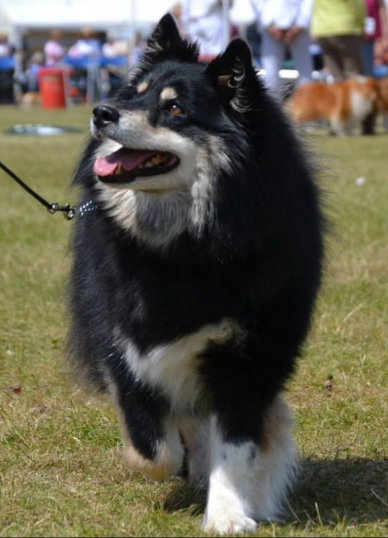 If new to the breed I recommend joining the ﻿Finnish Lapphund Advice (Behavioural & Training) Group ﻿I set up on Facebook. They are not Cavaliers in a Lappy body, they thrive on being mentally stimulated, this amazing breed need owners with bags of enthusiasm! Lappies have the most gentle of temperaments, particularly with people and children. 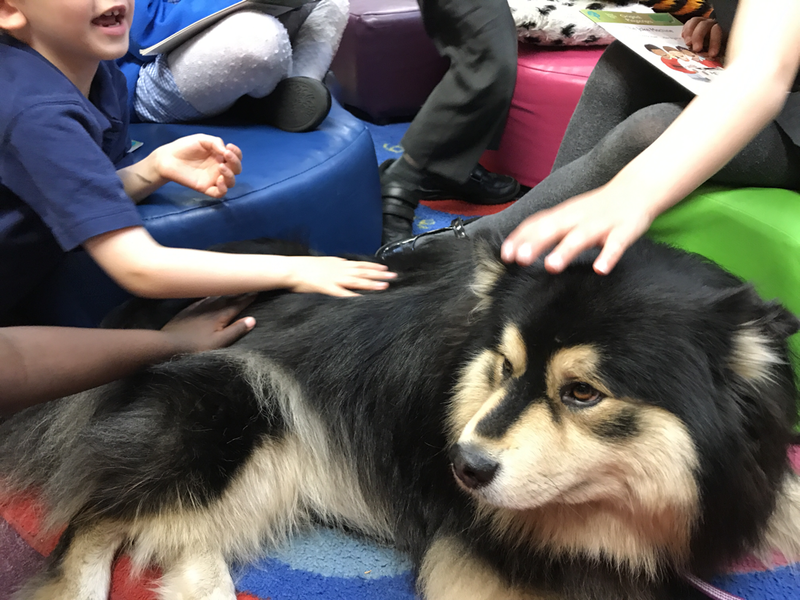 My Salo was an active PAT Dog participating in the Read to Dogs Scheme at a local infants school & also visited a nursing home for residents with dementia. Salo also loved Rally Obedience, another super sport to try with your dog. Kissa - what a dog! He is the sire to my puppies due next month. Like Father like Son - here is Roope & his son Monttu (aged 10 months). Monttu is 5th Generation TabanyaRuu. Ruuli at 9 months. This gorgeous photo was taken by my friend Alice. November 2017 - I still can't quite believe it but sadly Salo suddenly became very ill & was diagnosed with terminal cancer. We lost him on October 21st at the age of just 5 years a few days after his diagnosis - we are beyond devastated. Just a month earlier Salo took Pastoral Group 3 at Richmond Championship Show under Graham Hill - he appeared perfectly well, looked amazing and as always, gave me his all. What an incredible dog. Smuu - the little Lappy that started it all :-) The image to the right is Smuu & Tuukka's daughter Sisko - she will be 14 next April :-) I love this dog so much! Loads more photos of her on my Instagram Account. TabanyaRuu Sisko - my special girl. August 2018 - Sisko aged 14 years & 4 months. God I love this dog! 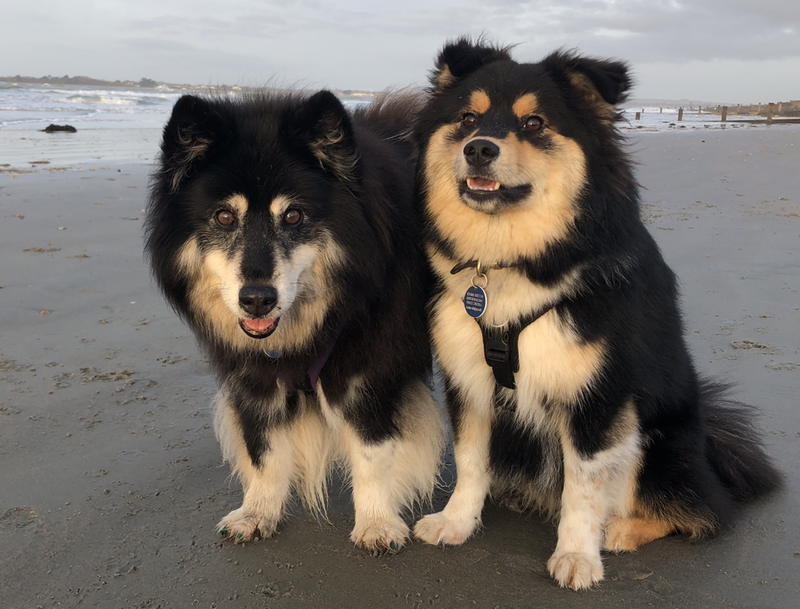 These gorgeous posers are the cheeky dogs that live in our home with us - to see the dogs we love but live elsewhere, follow the Dogs & Breeding links at the top of the page. Sisko aged 14.5 & her Great Great Grandaughter Ruuli aged 9 months. Photo taken December 2018. The site is always work in progress, I'm constantly adding photos & videos, so do check back often. Please do not hesitate in contacting me if you would like to know more. If you wish to enquire about going on a puppy list, please do read through this page first. Liz.